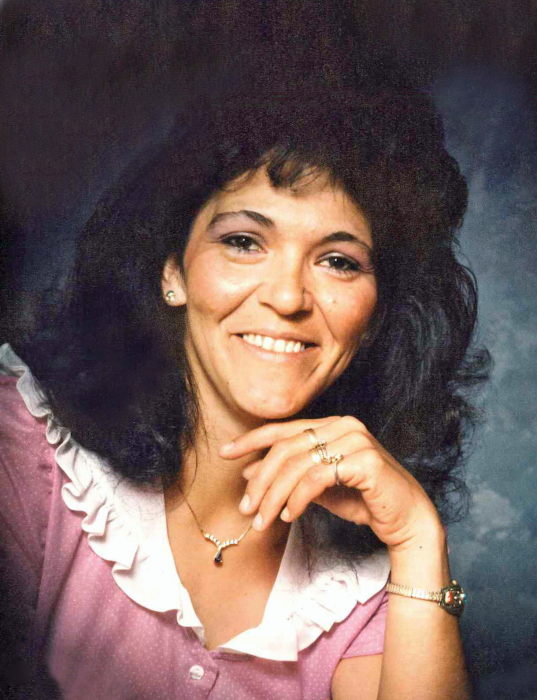 Gloria B Trujillo 63 of Farmington passed from this earthly life into her heavenly life Sunday April 14, 2019. With her loving family by her side. She was born Feb. 15, 1956 in Farmington N.M. to Fermin and Mary Ann Marquez. Gloria was preceded in death by her Father Fermin, Mother Mary Ann, Sister Dolores, Mary Lou, Annie. Brothers Bobby “Guero”, Toby, Ernest “Neto”. She is Survived by Sons Tommy Trujillo and wife Chrystal, Ernest Trujillo and wife Mila, Daughter Irene Trujillo, Sisters Sally and husband Tom, Linda and husband Frank, Brothers Tino, Marvin and wife Mickie. Grandsons, Carlos Trujillo, Johnny Angel Mares, Damion Trujillo, Dominick Mares, Granddaughters Annysa Mares, Breanna Trujillo, Mariah Brown, and two special little girls Tianna Harrison and Maddy Casas. Also survived by Ex-husband Tom and wife Lisa. And the Love of her life Ike Gonzales Sr. She was loved by all her Nephews and nieces.